There was an exceptionally large congregation in the Pinewood Methodist Church on Sunday night, for, in addition to the customary service by Rev. 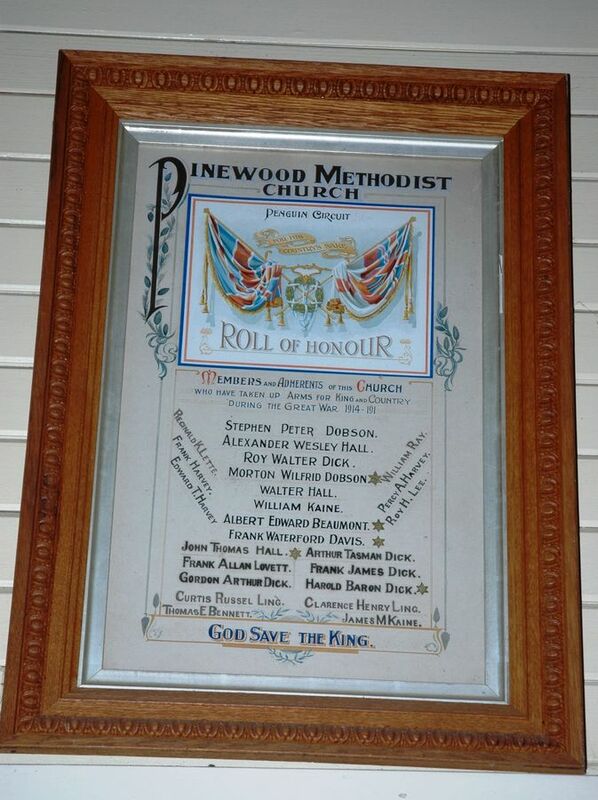 W. T. Abbott, the unveiling of a roll of honour placed in the church to record the names of local members, and adherents of the church took place. The congregation stood as Mrs. J. Fielding, sen., unveiled the roll, which, nicely framed in oak, is fixed at the rear of the rostrum. "God Save the King" was then sung, thus concluding an impressive ceremony.